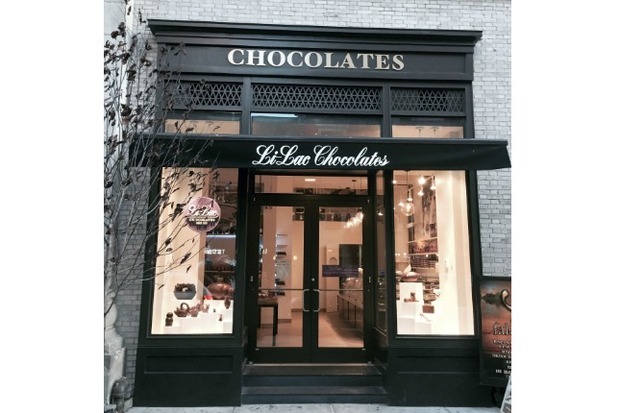 GREENWICH VILLAGE — Li-Lac Chocolates is opening its third Manhattan shop at 162 Bleecker St. on Saturday, marking the chocolatier's return to the neighborhood where it started back in 1923. To celebrate, the store will sell some of its most popular sweets, like Almond Bark, Legendary Fudge and Fresh Marzipan Acorns, for just 23 cents a piece — a nod to the year it opened — at its Oct. 3 opening party. The party is meant to appeal to all ages, with activities and Oompa Loompa characters straight out of "Charlie and the Chocolate Factory" for kids and wine pairings for adults from noon to 5 p.m. provided by Chelsea Wine Vault. The band Gypsy Trane will play live music until 2:30 p.m. The company moved their longtime production from their West Village store on Eighth Avenue to a state-of-the-art factory in Brooklyn's Industry City last year. Another local chocolate business, Kopper's Chocolate on Clarkson Street, followed suit earlier this year with a relocation to Sunset Park's Liberty View Plaza. The event will kickoff with a ceremonial ribbon cutting with state Sen. Brad Hoylman, Assemblywoman Deborah Glick, City Councilman Corey Johnson and Li-Lac's master chocolatier Anwar Khoder.